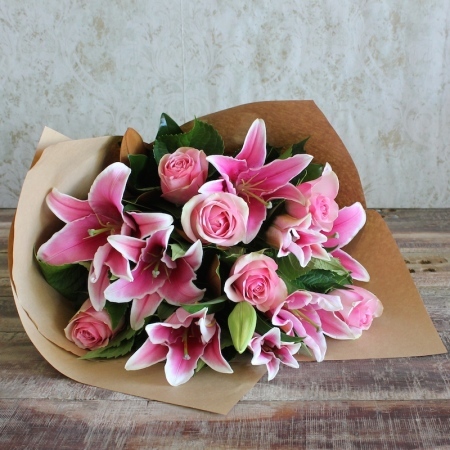 Delight your senses with `Pink Blush.` A simple yet elegant bouquet of pink oriental lilies and pink roses with a divine fragrance. Celebrate any occasion with this tasteful bouquet created specially for our ECO Collection and to help support our environment. Delivered in a natural brown wrap that 100% recyclable. Delivery available Sydney wide.